A man is desperately searching for a ‘suicidal child’ after discovering a distressing note outside his house. 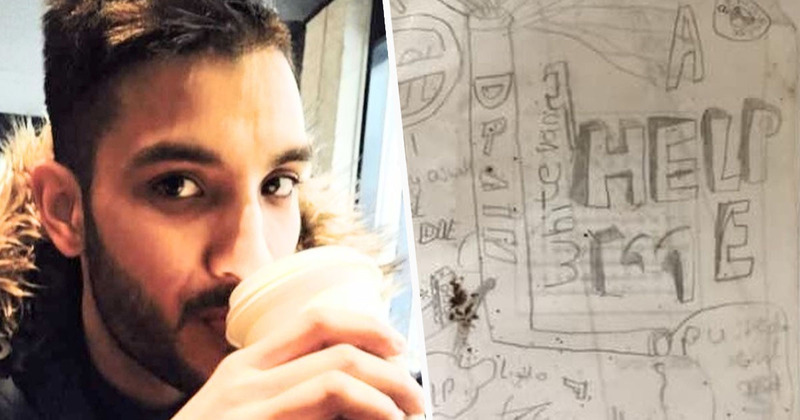 32-year-old Aren Deu from Wolverhampton found the hand-drawn note on his driveway last Thursday (April 5), which appeared to have been torn from a child’s textbook. In the centre of the page was the word ‘life’ crossed out, with the writing ‘may as well just DIE’ scrawled next to it. 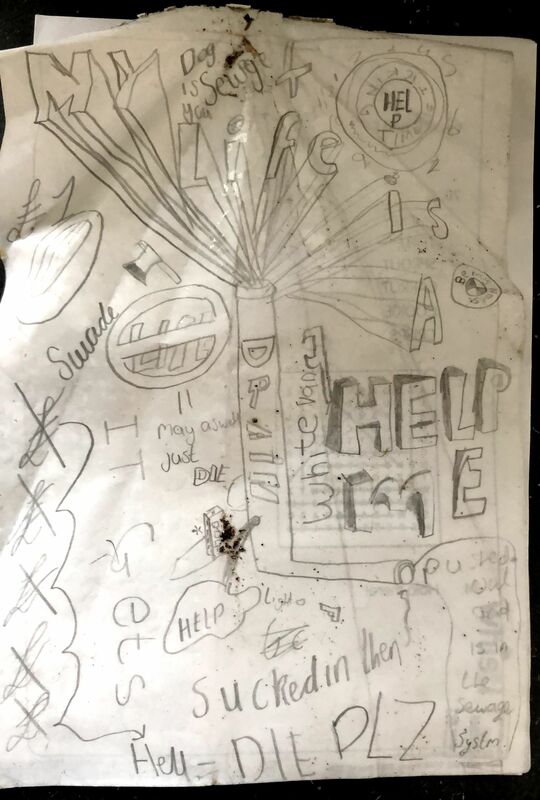 Also on the page were drawings of axes, guns, the large letters ‘help me’ and notes such as ‘my life is a drain’. Believing the person who wrote the note is a child at risk, Aren knocked on houses on his street but was unable to track them down. 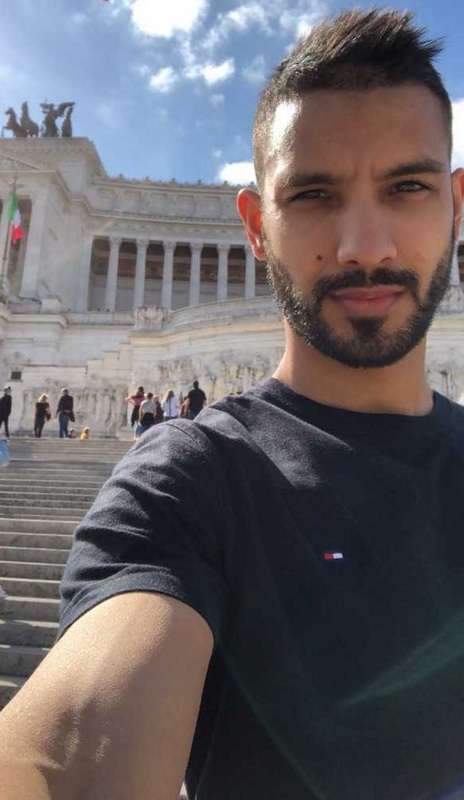 He then took to social media, sharing an image of the note to both highlight the issue of mental health and continue his search for the author. I want to prevent any serious harm. I’ve had family members suffering with mental health issues and everyone suffers some way in their life. I want to raise a high level of awareness of the support available and if we can be that shelter where somebody might come along, it might keep them going for another day. It’s okay to be not okay everyday. I was worried this person might be suicidal – that’s the reason I didn’t sleep that night. I thought to myself ‘what is going on?’ It’s horrible. Life goes on and we almost forget that there’s someone out there who could be living their last few days. Noticing on the page a BMW logo had been drawn and a white van had been mentioned, Aren hopes these details will help narrow down the search. Although he isn’t sure the author is a child, the handwriting and the kid’s crossword puzzle on the back indicated that is possibly the case. He also hopes by sharing the note on social media it will not only encourage others to seek help, but parents to check on their children. I’m not an expert with child psychology but there’s too much pressure on kids nowadays with social media. Everyone is living this ‘Instagram lifestyle’ and it’s hard for them to keep up. Young people need to know there’s somewhere to seek help. There’s always a way out. And with the right support and guidance you can get back on track. If you think a child is in immediate danger, call the police on 999 or the NSPCC on 0808 800 500.